Just finished a great book that I wanted to share with everyone. 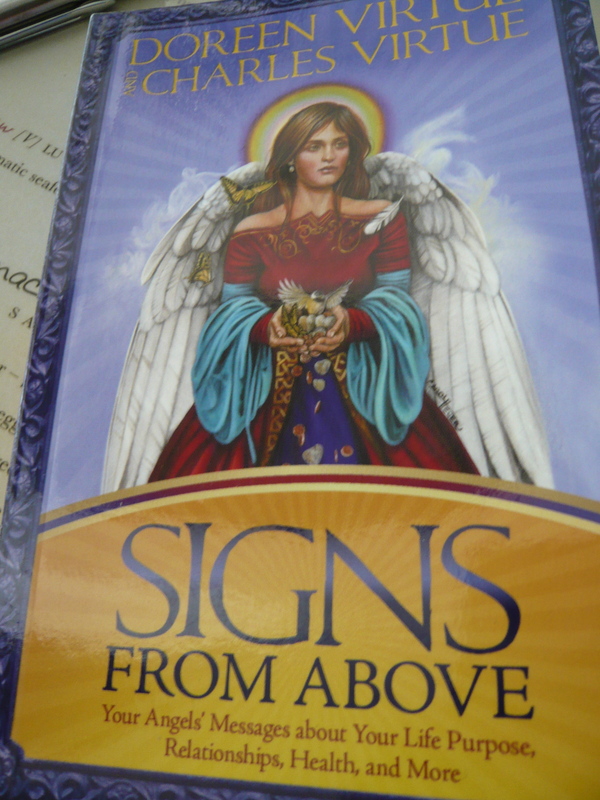 It’s called Signs from Above by Angel Therapists Doreen Virtue and her son Charles Virtue. It’s a small book and I thought I’d whizz through it, but the stories shared in this book required a slower, more indulgent read. The book revolved around the premises that Angels are all around us and more than ready to give us divine “signs” of affirmation and guidance. Doreen shares stories from people who have experienced such signs like clouds in the shape of angels, feathers and rainbows that have comforted them especially in times of doubt and grief. What I enjoyed most about reading this was that I did get clarity on certain situations of my life by asking for signs. I also told the angels to surprise me since my overactive imagination would begin to anticipate signs already documented in the book. And you know what? They did surprise me, three times in fact in one day. The book ends with specific prayers for specific situations, which would be helpful to anyone who didn’t grow up in a prayerful environment. They are short, simple requests (dependent on situation or need) that one can say at any time of the day or night. This would make a great gift or have by your bedside, in your office for those days or nights when it seems you don’t know what to do next. If you believe in angels, you will be greatly comforted by the ways they use in which to communicate that they are there for you, all the time. Be prepared to notice the signs they give because in most instances, they are, instant. The most challenging aspect is trusting that those are signs, just remember there are no coincidences and that when in doubt, ask again, and again. Unconditional love embodies every angel so until they get the message through to you, they won’t stop trying, it’s up to you to keep listening, seeing or feeling.